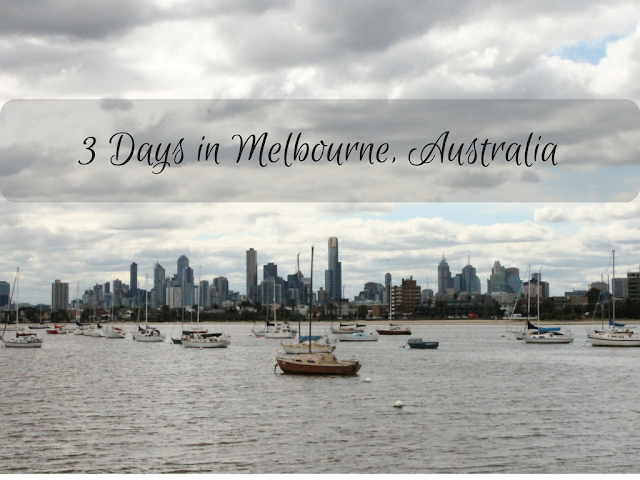 After 6 months, I'm finally getting around to wrapping up my posts about our Australia trip! You can read some of my other posts here. Enjoy! After cutting our trip to Cairns short and getting on the first flight we could, we left sunny 90-degree Cairns where it still felt like summer and made our way south to Melbourne, arriving in the dead of winter. When our plane landed and we walked out of the airport, there was freezing rain. 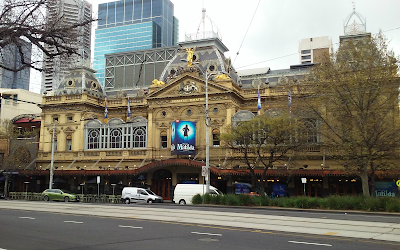 It amazed me just how different the weather was in each of the cities we visited in Australia. In Sydney, it felt like the first nice weekend of spring. 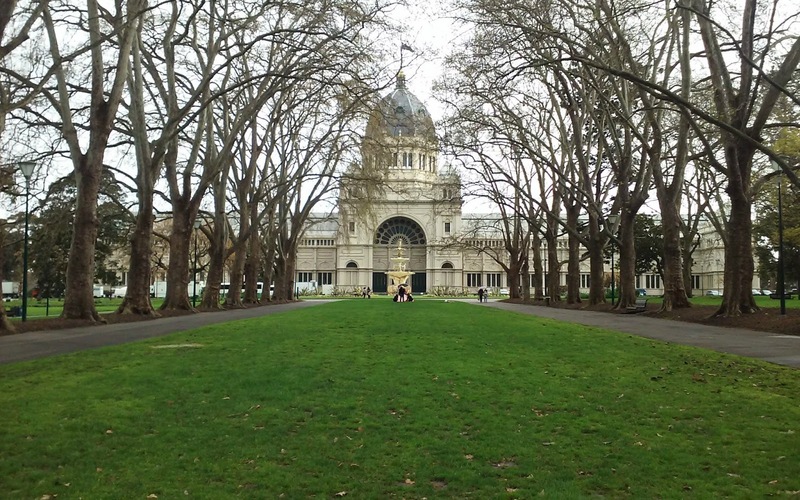 In Cairns, it was still summer, and in Melbourne, definitely still winter. It's a lot like traveling from DC to Miami to Portland, Maine during the last week of March - major changes of season! Before we left for Australia, I reached out to Kristen to get the low down on what we should see and do in Melbourne and she warned me to prepare for "four seasons in one day." I had no idea what that meant, but we were about to learn! 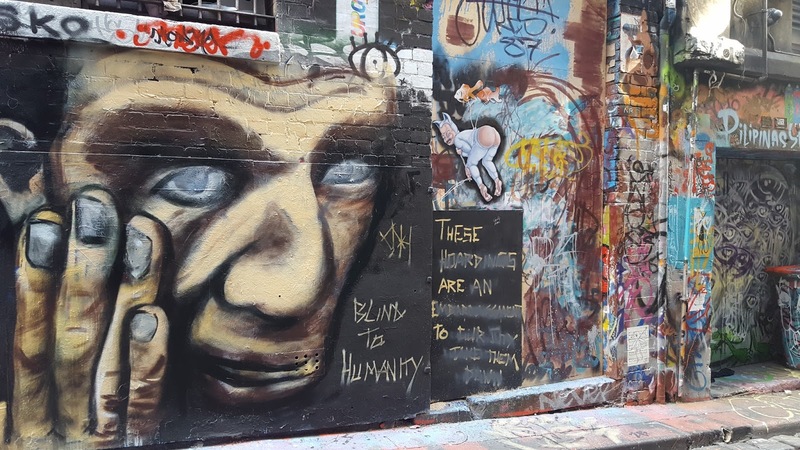 As we did in Sydney, we booked another Air BnB outside the CBD (Central Business District) but still in the middle of everything. We stayed in Collingwood with an English couple who had moved to Australia about six months before. Collingwood was adorable and I immediately fell in love with the neighborhood! 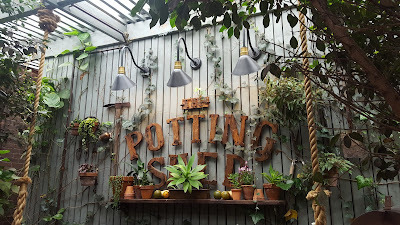 There were so many adorable restaurants, bars, coffee shops, and shops! 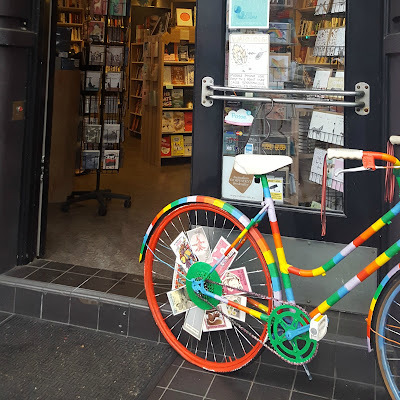 I could have spent the entire time just in our neighborhood! We landed pretty late and, by the time we got to our Air BnB, it was close to midnight. We had been up since 6 and had spent the day snorkeling on the Great Barrer Reef so we were exhausted! We woke up well rested and ready to explore our first day in Melbourne! There was an adorable coffee shop called Gontran Cherrier near where we were staying and we stopped in for delicious pastries and coffee. Melbourne is famous for their coffee and the coffee certainly didn't disappoint, although, I was really thrown off every time someone asked me if I took my coffee black or white, which just means with milk. 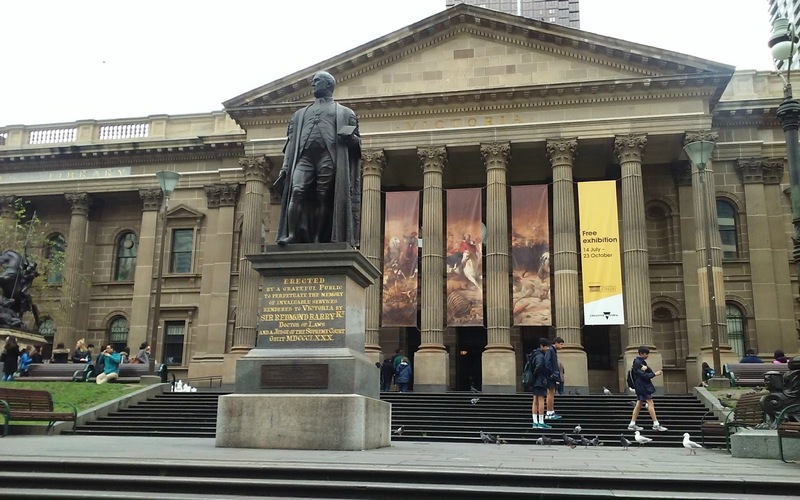 We knew that the free walking tour we did in Sydney was also offered in Melbourne so we made took a leisurely walk to the CBD to start the tour. The minute we got there, I realized I had forgotten my camera! Luckily, we had The Pilot's tablet but I was so bummed to be taking pictures with that thing instead of my DSLR! 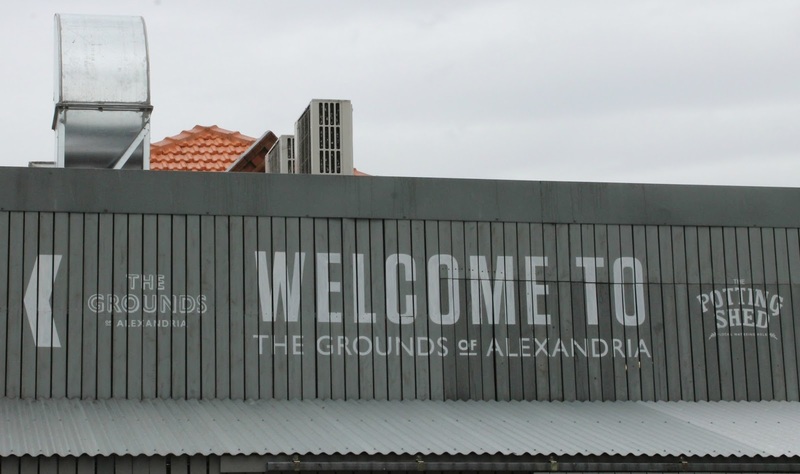 The tour was awesome and so much better than the one we went on in Sydney! Unfortunately, about half way through the tour, we got caught in a torrential downpour. Oh, my goodness, I have never seen rain like this...and I was wearing Toms! Some people left the tour but we stuck it out. When the tour was over, we made our way back to Collingwood (after stopping at a store to buy some dry clothes!) to take hot showers, drink some tea, and try to dry out our shoes! 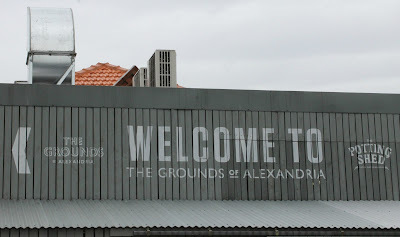 We were still pretty tired from the day before and the rain didn't help things so we hung around Collingwood for most of the evening, wandering around, exploring the neighborhood before making our way into the CBD for dinner at an awesome Greek restaurant called Stalactite. They actually had stalactites hanging from the ceiling! The food was great and it was a nice homage to our honeymoon in Greece during our 2-year anniversary trip! Our first day in Melbourne was cold, wet, and miserable, but we fell in love with the city. 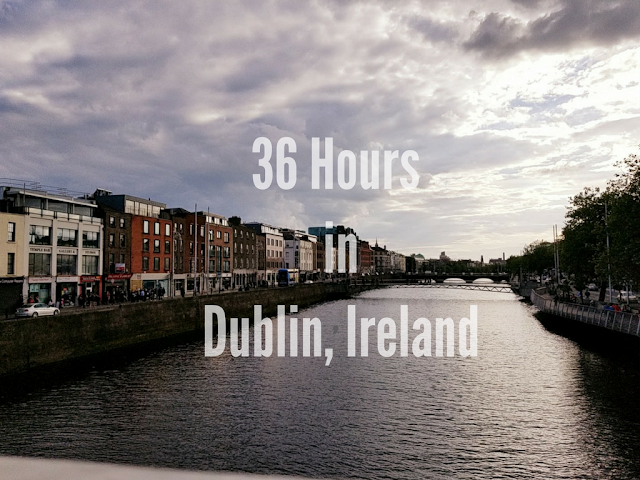 It was so unbelievably charming, and unlike any city I've ever been to. 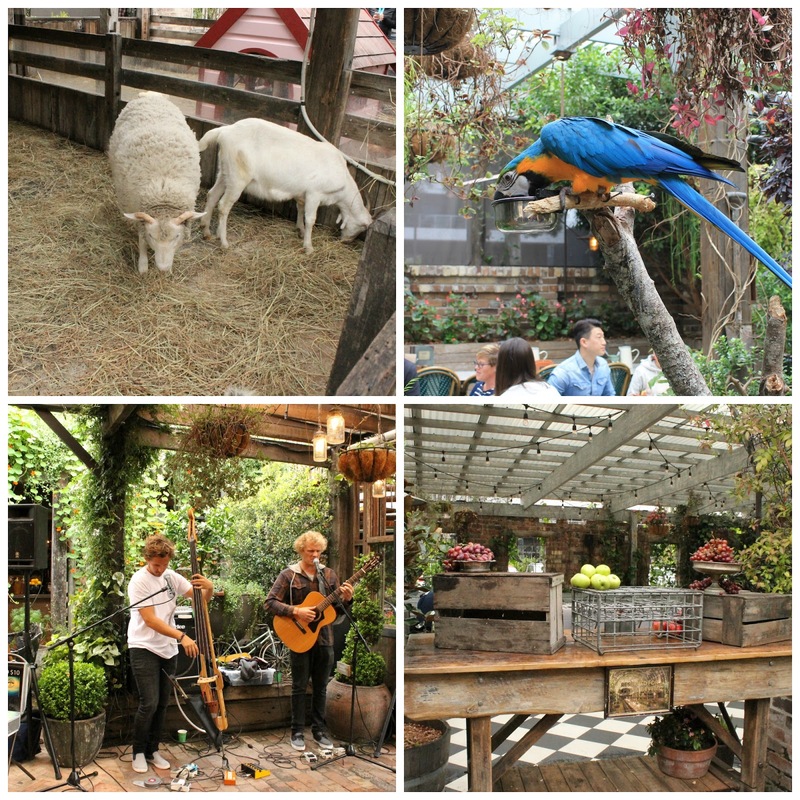 It had the charm of London and the edginess of New York, with the hospitality of the south. Everyone was so friendly and welcoming and I couldn't wait to explore more of the city! 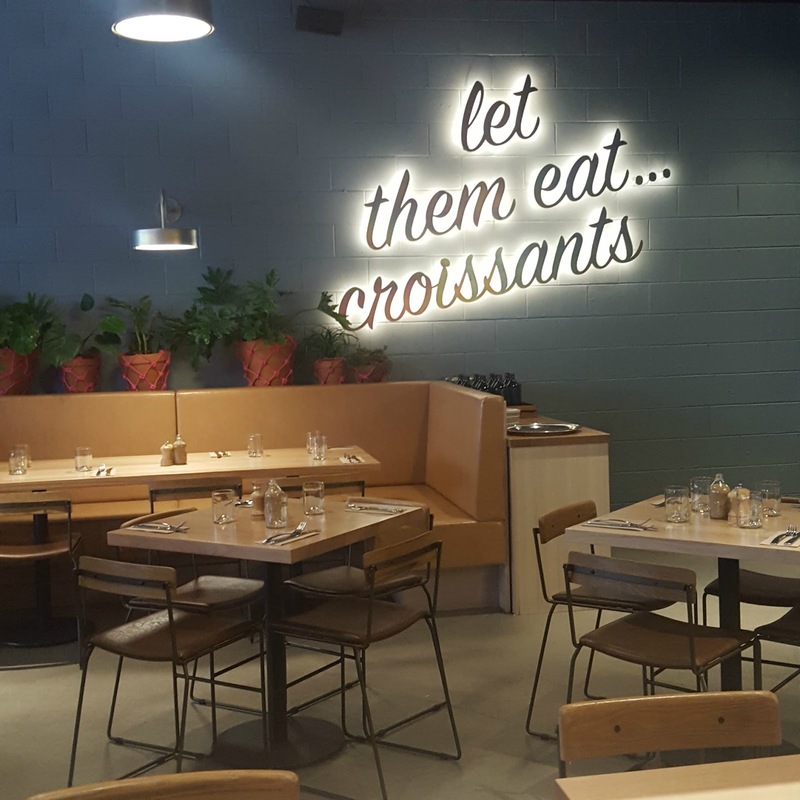 The next morning, we stopped off for "brekkie" at a place near our Air BnB called Eat a Scroll. We had "cruffins" (croissant muffins) and chai and headed off to explore. The sun was out and it was a lot warmer than the day before. 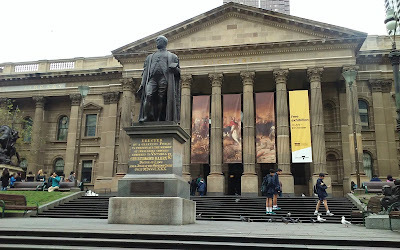 We took the tram to Parliament and wandered around the CBD in and out of bookstores and shops. We got to revisit Hoey Lane and some of the famously graffitied laneways that we rushed through during our rainy tour the day before. 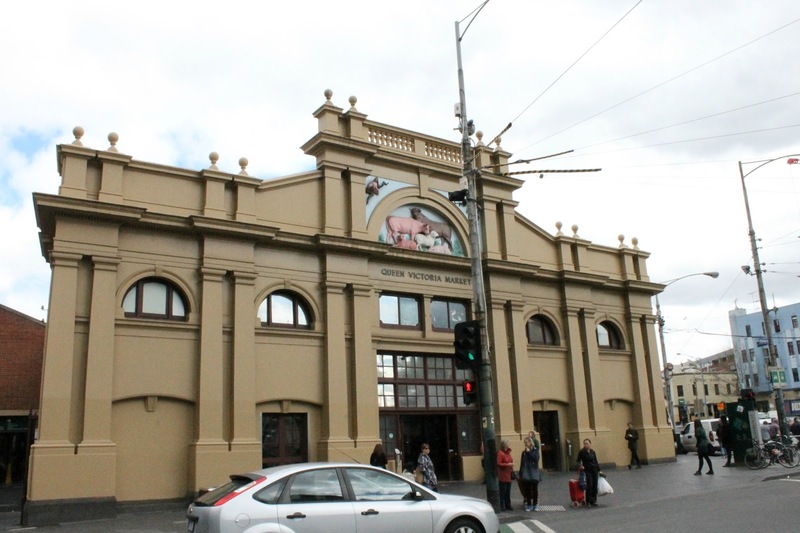 We took a trip to the Queen Victoria Market and bought some souvenirs. My favorite were spices from this cute little spice shop called Gewurzhaus. From there, we took the tram to St. Kilda, had some lunch, and went in search of the penguins. The views of Melbourne from St. Kilda were unbelievable and I was so happy that we got a warm-ish day compared with the day before! 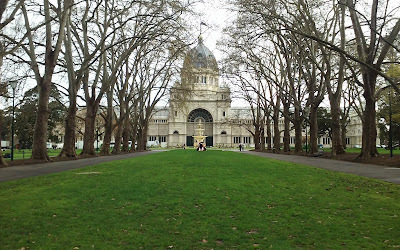 From St. Kilda, We made our way back to the CBD and paid a visit to the (free) Australian Centre for the Moving Image, which was pretty cool! 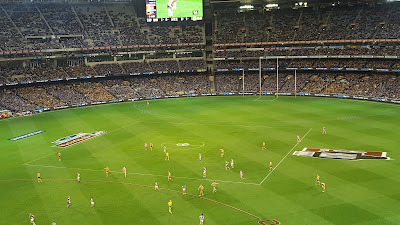 We had learned that the Australian Football League playoffs were going on while we were there and The Pilot really wanted to catch a game. 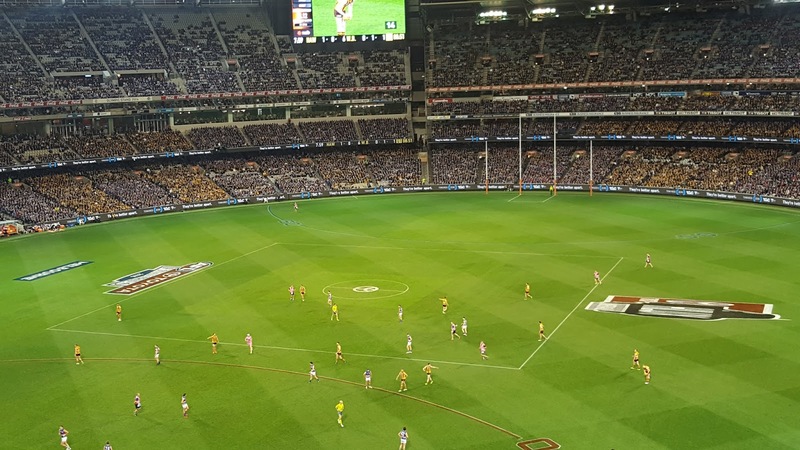 The Western Bulldogs, one of Melbourne's teams were playing that night at The Melbourne Cricket Ground, or "The G" for short. The 100,000+ person stadium wasn't completely sold out for the night and The Pilot and I were able to buy tickets for $50 each. We went back to our apartment to get ready for the game and our hosts were watching the news. 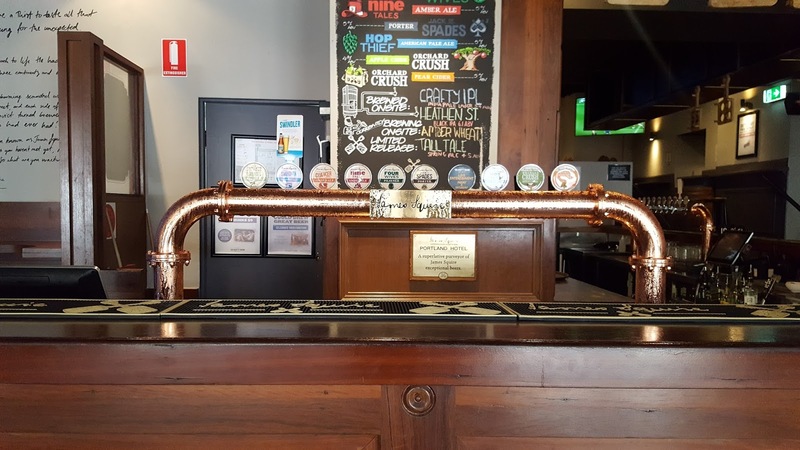 They were talking about the match and we learned that the Bulldogs hadn't won the Australian premiership in 62 years, so naturally, we decided to cheer them on! Oh my gosh, I didn't think it was possible to have so much fun watching something that is completely incomprehensible. We had no idea what was going on and the rules were so complicated but the Bulldogs won and it was awesome! They actually went on to win the premiership, ending their 62-year drought! I guess you can call us fans now! We were flying out late the next day, so we had one more day to explore. 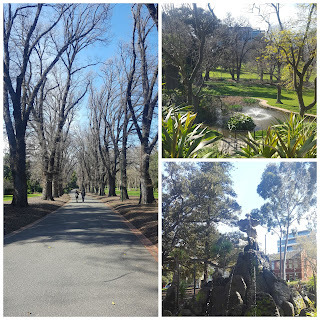 The Pilot had to take care of some stuff for work so I headed off for a 4-mile run through Fitzroy Gardens, and around the Olympic Park. It was an absolutely beautiful day! 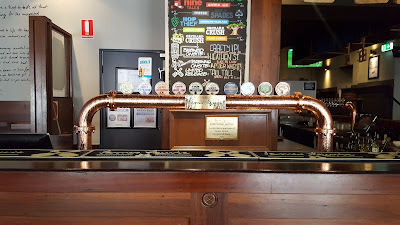 When I finished my run, The Pilot and I walked down to the CBD and had lunch at a brewery called The Crafty Squire, which I highly recommend. Aside from great beer and good people watching, this was just a cool spot to be in! We did a flight tasting and then walked down the south Bank along the Yarra. 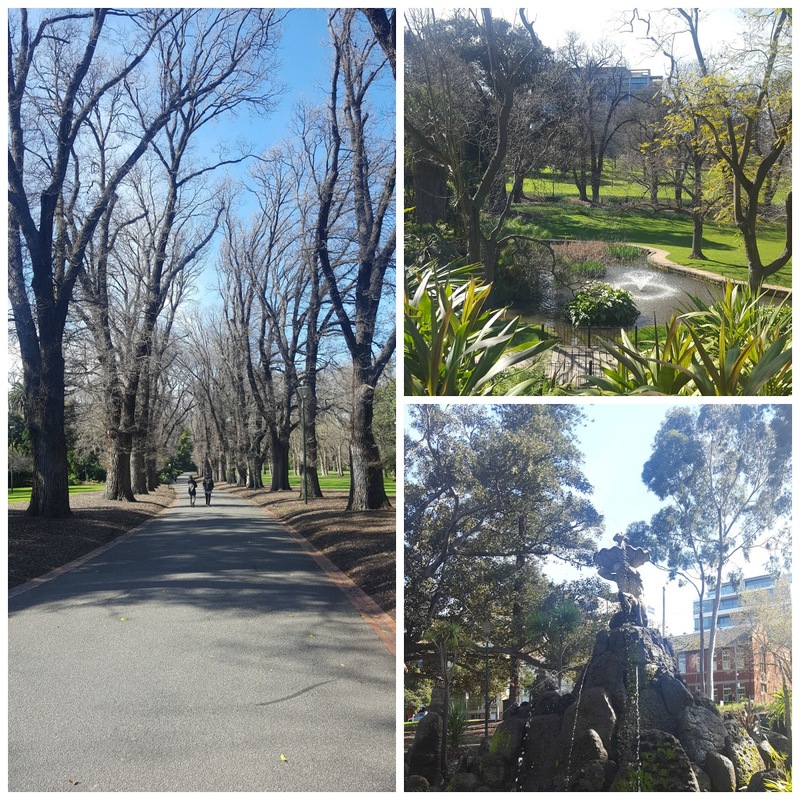 The sun had finally come out and it was a gorgeous day to be out in Melbourne. 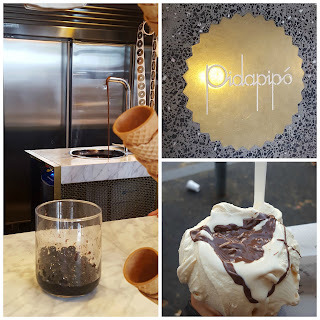 We took the tram up to Ligon Street, Melbourne's Little Italy, and stood in line at the highly recommended Pidapipo for some gelato drenched in Nutella from a fountain (OMG). We took a long walk back through Carlton and Fitzroy and then packed up and headed to the airport. 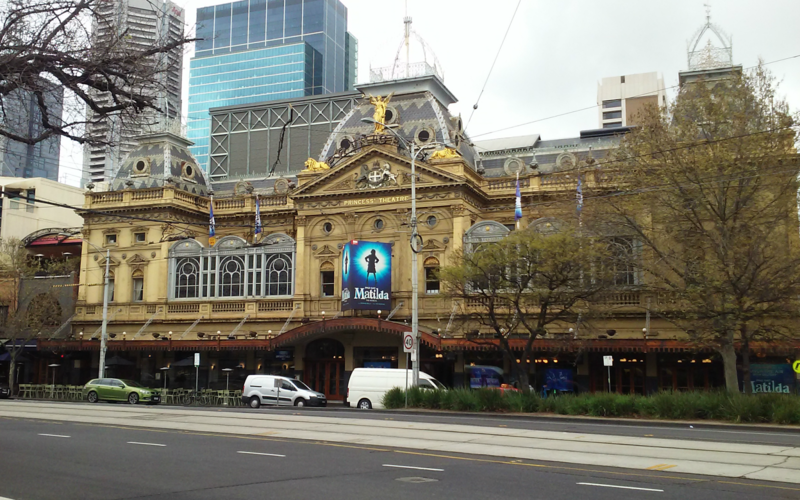 I loved Melbourne. It was so wildly different from what I expected! I definitely didn't feel like we had enough time there. 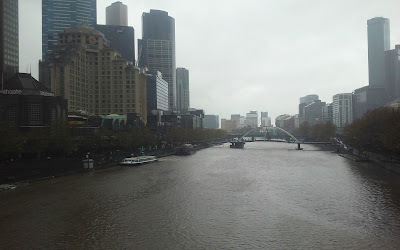 If it hadn't rained our entire first day, I might not have felt that way, but I would have loved to have an extra day in Melbourne. The Pilot and I had plans to fly back to Sydney and then back home the next day. 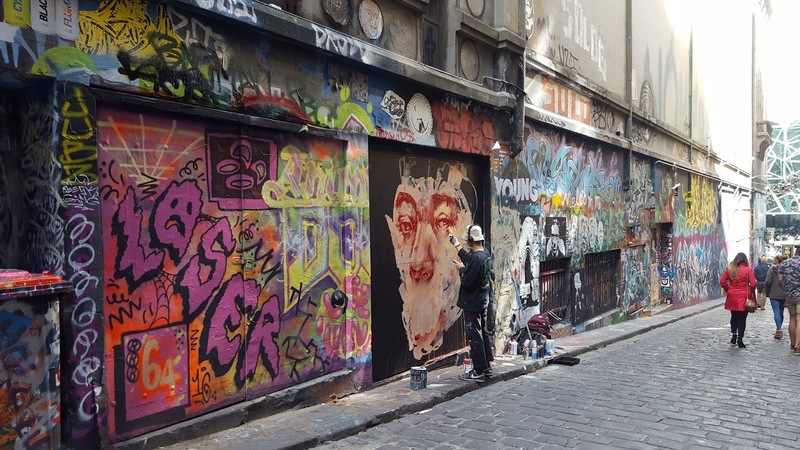 Things didn't quite work out that way as you'll soon learn but I really loved Melbourne and would love to go back in the summertime! Planning a trip, or know someone who is? Share the love! Hello from Dubai! 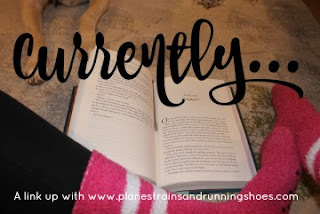 It's been several weeks since I've written one of these posts but I haven't really had many workouts to share lately but this week kicked off my first week of training for the Ottawa Marathon so it's time to resurrect these posts! Now, Dubai. I arrived late last night for another mini vacation with The Pilot. After we barely skimmed the surface the last time we were here, I was itching to come back and, when The Pilot found himself with some time off work during a relatively quiet time for me at the office, we made plans. Now I have a confession to make. 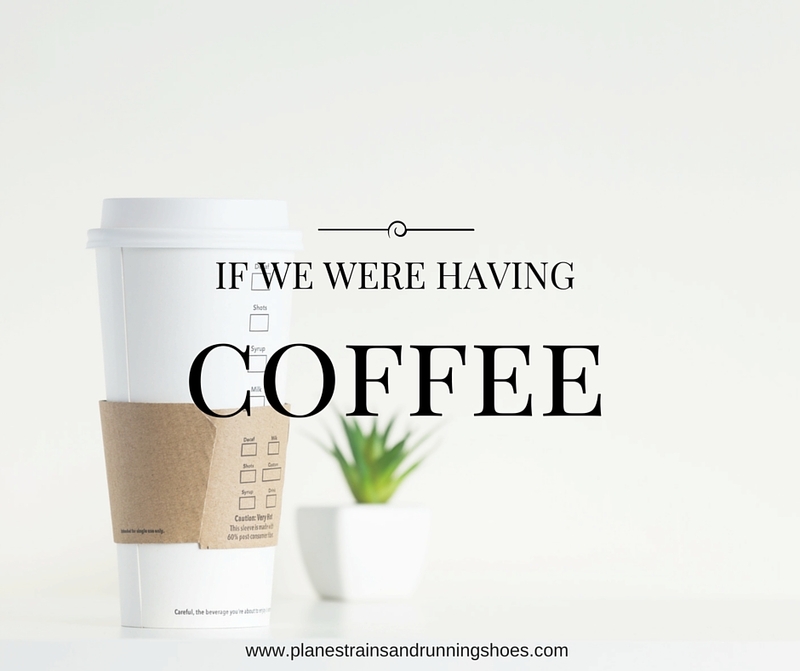 Despite the name of my blog, I've always had a hard time balancing training and traveling. The most noted examples are our recent vacations to Australia, Paris, Hawaii, Portugal, and even Dubai, where I ran once or twice, if at all. 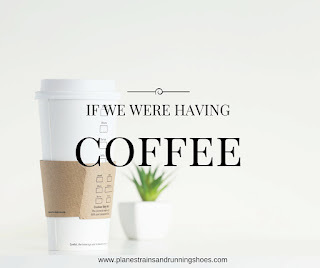 The Pilot doesn't love running, and while he's always up for sneaking in some miles on a trip, I always feel bad about the idea of ditching him for a few hours to get in a long, double-digit training run and then being toast for the rest of the day. After an unusually difficult February and a late start to marathon training that turned my 16-week plan into 12, I knew that kicking off training the week I would be taking off on a 13 hour international flight would be rough but this time around, I'm determined to get my training in while still having fun with The Pilot. Here's a look at how my training went this week. We'll see how well I manage things next week when I'm back in DC! Day 1 of Ottawa Marathon training! I had 4 easy miles planned but kept my pace just below the 9:09 I need for a sub-4 marathon and it did feel easy! 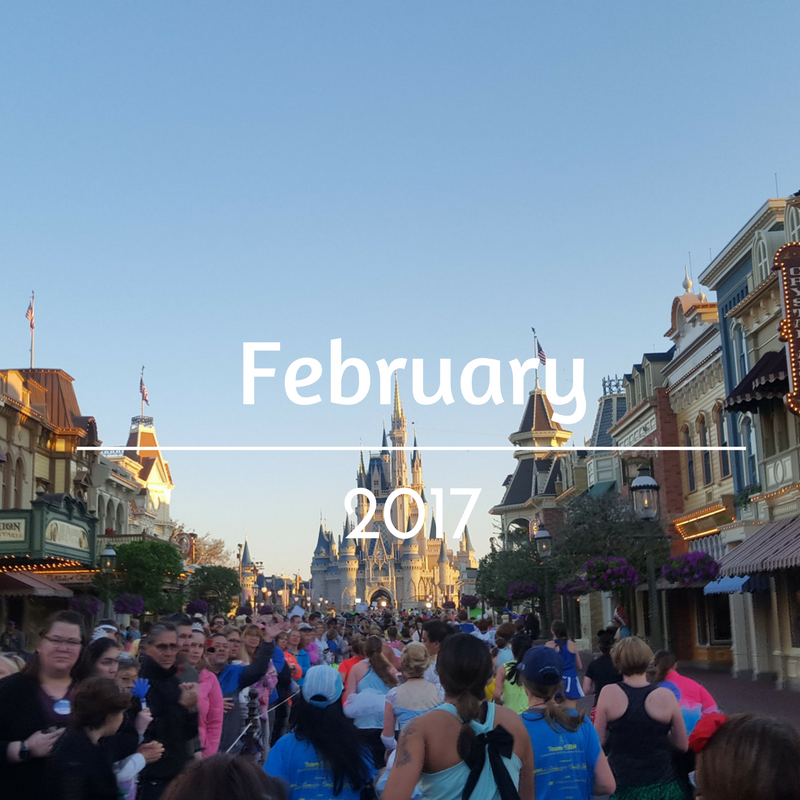 I had run only once the week before following Disney and was grateful that I skipped the long run I planned for the day before, opting to start a 12-week training plan on Monday rather than try to make up for miles and turn the training plan into something longer for the sake of adding in one more long run. I felt great and was thrilled with my pace. I had 5 miles of hills planned for today and, when a trip by the VP to the Capitol (my favorite place to do hill workouts) left me unable to access the country's most notorious hill, I switched gears and ran a progression run instead (9:51, 9:23, 9:19, 9:18, 8:32). Given that the Ottawa Marathon is completely flat, I was ok with this but I've always felt that hill training on a flat course makes me feel stronger on Race Day. After already running more miles in one week (9) than I had in months (ouch! ), I was ready for a rest day. I opted fo75-minutenute yoga class at a studio nearby for active rest, which, as a result of being the first person in class, the instructor dedicated to hip openers, hamstring stretches, and basically everything I needed to ease back into my first double digit training week in months. I was up bright and early for a surprisingly warm 10 miles along the Mall. I was a little sore from the previous night's yoga class and was struggling in the first two miles. Ever since I caught the flu last month, I've had a hard time breathing comfortably while I run, my chest still feeling tight in the early miles. By the time I settled into my third mile, I was feeling better and was thrilled to finish the run at a relatively speedy pace. With an evening flight out on Friday that wouldn't get me to Dubai until late Saturday, I knew I would run for that long once I got here and was nervous what a 10-mile run would do to me if I did it the day I flew out so I was glad to have gotten the miles in early. I had thought I might be up for a 4 mile recovery run but I was pretty sore from my long run and the week to date. I had already run 19 miles for the week by this point, a significant number compared to the 26 I ran in the entire month of February. I opted for a 30-minute yoga practice at home before heading for the airport. I had originally planned to run the Rock 'n' Roll DC Half but when our plans to head to Dubai came through, that went out the window. Luckily I hadn't signed up yet! While I was bummed to miss my favorite DC race, I'm not bummed I missed the temperature drop and winter deciding to reappear back in DC. My flight landed in Dubai at 9pm and I was surprisingly awake and energized after such a long flight. By the time I cleared customs and checked into my hotel, it was 11pm. I was wide awake and knew I needed to try to adjust to the time zone, so I headed to the hotel gym for 5 miles on the treadmill before a light dinner and finally heading to bed shortly before 2am. My plans to adjust to time zone didn't go quite as planned and I was up at 5:30 this morning. I tried falling back asleep but at 6:30, turned on the lights, read in bed for awhile, and headed to breakfast. I thought about getting my run in but realized I had only run a few hours before and decided against it. The Pilot and I went out and spent the day with some friends of his and, by the time we got back to our hotel around 7, I was exhausted but so determined to get my run in. We ate dinner and I begrudgingly dragged myself to the hotel gym for a slow and steady 4. I say slow and steady because I'm almost positive the treadmill I was on (different from yesterday's) was faulty and I barely broke a sweat. I know I was on the treadmill for around 40 minutes but this pace may not be entirely accurate. So there you have it. Week 1 of Ottawa Marathon training is in the books! I'm glad I planned ahead this week and was able to fit in all of my workouts. This next week will be a little bit more challenging but at least I can plan my long run for when we're back home in DC. I'm proud of my effort this week. Not only did I get all of my runs in but I used my off days for active rest AND worked in some dynamic stretching before each run, something that I have to be diligent about to keep myself injury free while racking up miles with a minimal base but I'm excited for what this training plan will bring and I'm ready for the challenge! How do you balance working out with travel? 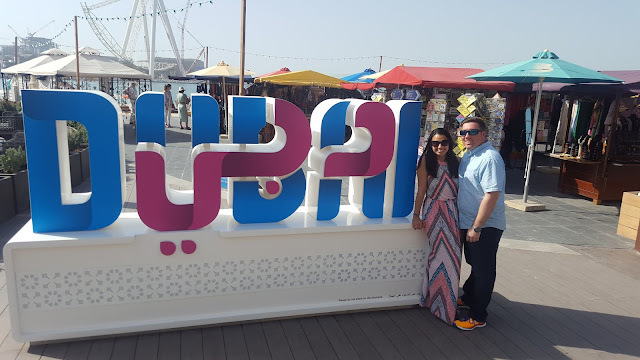 Have you been to Dubai? 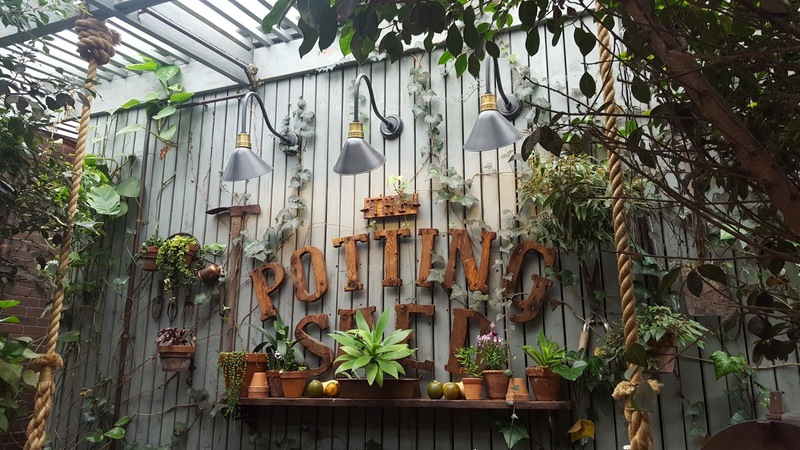 What are some of your favorite things to do here? Last weekend, I headed to Orlando, FL with my good friend, Abby, to run the Disney Princess Half-Marathon. It was meant to be a belated birthday trip but after being sick and dealing with everything with my dad, it was more of a much-needed getaway. The Pilot and I flew into Orlando on a mid-morning flight Friday, checked into our hotel, headed to the Expo, had lunch, and then went to Disney Springs for dinner at my favorite Cuban restaurant, Bongos. We spent Saturday at Universal visiting the Wizarding World of Harry Potter (more on this later!) before Abby flew in. We had a round of drinks, enjoyed dinner at our hotel, and were in bed by 9 pm for a 2 am wake-up call. The race started at 5:30 and we had been told that if you weren't on a bus from your Disney resort by 4 am, you would miss the start of the race. I was worried that the buses would get crowded and we would miss one, so we left our room at 3:20 and were on a bus by 3:25. We were at Epcot 10 minutes later, explored the staging area a bit where they had a stage set up and live music and then, after learning that the Start Line was half a mile away, started making our way over. I had no idea how many runners to expect but I was shocked to see how few people there were when we got to the corrals which were lettered A-P. I was supposed to be in Corral D but Abby was assigned Corral K so we lined up together (after trying unsuccessfully to line up in my corral). When we got to the race, the temperature was pretty mild but while we were waiting in our corrals, the temperature dropped and it got pretty windy. I tried to keep my muscles warm by doing some stretches and exercises and, when 5:25 am rolled around, I was really annoyed to learn that the race would be starting late because so many people still hadn't arrived. We had been at the start for 2 hours and I didn't think that it was fair to delay the start of the race because there were still (literally) thousands of people making their way from the staging area. The gun finally went off around 5:40 but our corral didn't start moving until shortly before 6. We finally crossed the start at 6:15 and were on our way. The first mile came up pretty quickly. Captain Jack Sparrow was at that mile and I was surprised to see a long line of runners waiting to take their picture with him. Abby and I kept on running. The first few miles were relatively uneventful. It took about two miles to warm up after standing in the cold for so long but the miles went by quickly. Early on, the course was mostly walkers and it was tough to weave in and out of so many people. Around Mile 5, we entered the parking lot for the Magic Kingdom. 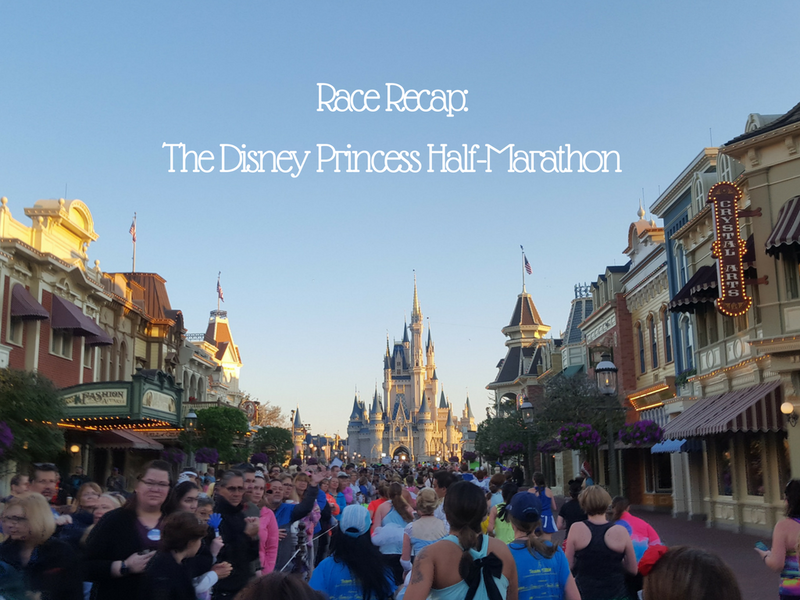 The anticipation for running into the Magic Kingdom was building and we picked up the pace. When we ran into the park, I was so excited and when we turned onto Main Street and saw the Magic Kingdom, it took my breath away. The sun hadn't been up for long and the castle was bathed in that perfect morning glow that made for a stunning view to run through. 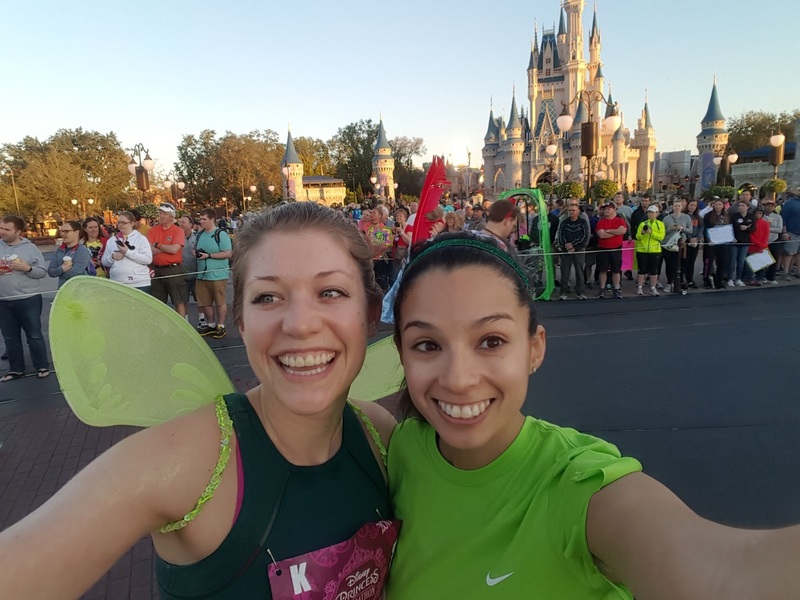 I loved running through the Magic Kingdom and felt like I was flying! Perfect for my Peter Pan costume! Somewhere around Frontier Land, we spotted Woody (The Pilot's favorite Disney character) and I stopped to snag a picture (without waiting in line!). 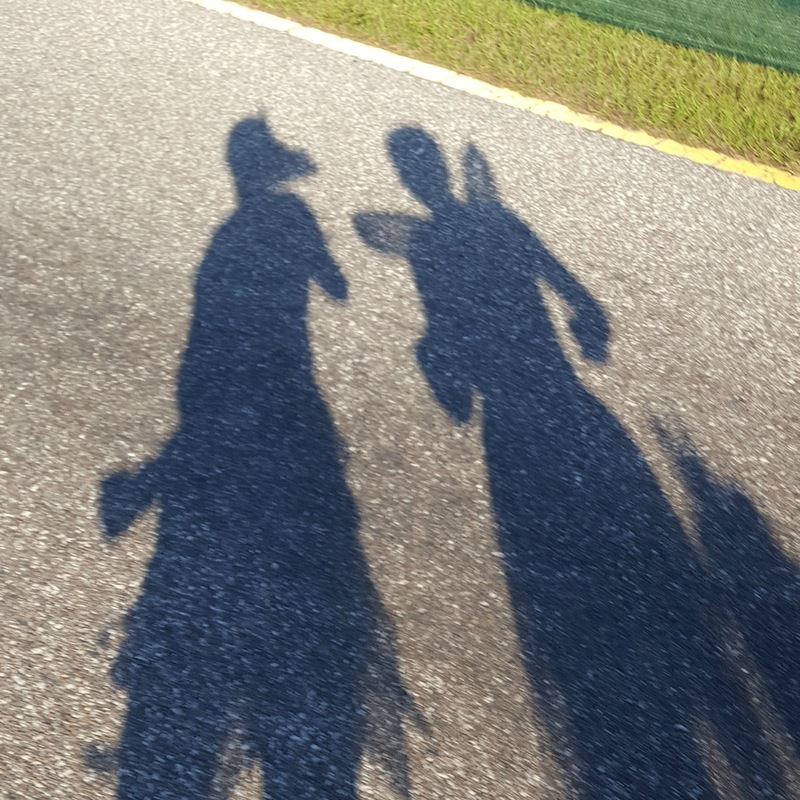 We left the Magic Kingdom and ran along Disney's golf course for quite awhile, which was beautiful. We had, for the most part, escaped the crowd by this point and were surrounded by more runners than walkers and really started to pick up the pace. Abby and I were both feeling pretty good and I was happy with how good I felt, given my minimal training. I had forgotten my watch in DC and was grateful to not have a watch to stare at the whole race. With all of the weaving and crowds, I think I would have gone crazy if I had my watch on! Peter Pan and his shadow! Once we hit Mile 9, we started running back the way we had come from the start except that there were some hills thrown in as we ran across overpasses and made our way back to Epcot. I hadn't paid much attention to the Course Map since I knew I wouldn't have any idea what it meant, but I was confused when we hit Mile 11 and still felt miles away from Epcot but we entered the park through a back road leading to the parking lot. Mile 11 was almost entirely through the parking lot, leading into the park and we really picked up the pace since we could see the Epcot globe! We entered the park, made a long loop near the entrance to the park and then sprinted through to the finish line! We finished in 2:19:33. I was hoping to run somewhere close to 2:15 but I'm pretty happy with this time given how crowded it was (and the fact that I had to take two bathroom breaks after drinking so much water while waiting endlessly for the race to start). 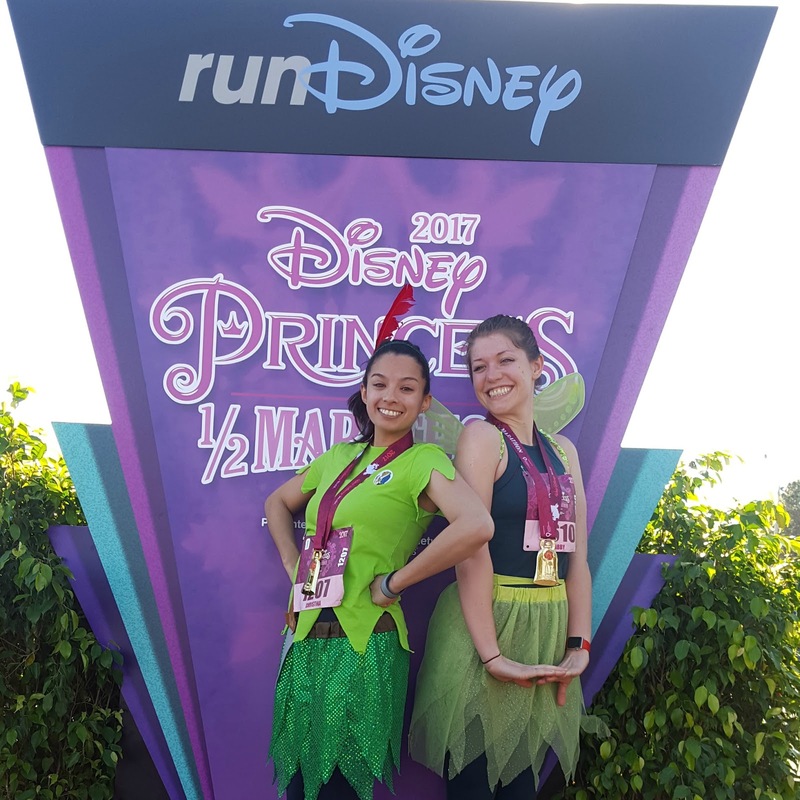 Thoughts on my first RunDisney race: It was ridiculously fun running through Disney and even better to have a friend along the way! The spectator support was pretty minimal (but I wasn't surprised by that given the early start time) and I think the race would have been pretty boring without someone running alongside me. Originally, I was going to dress up as Princess Jasmine originally but when Abby decided she was going to be Tinker Bell, I decided on Peter Pan, my all time favorite story character. I somewhat regretted my decision when we lined up, being one of the few runners not dressed as a princess, but when we actually started running, I think Abby and I got called out and cheered for more because we weren't dressed as princesses than those that were. As a spectator, it doesn't make sense to yell out, "Go Jasmine!" when there are 17 Jasmines in your line of sight! So if you do run one of these races, try to think outside the box when planning out your costume! Overall, I had a great time running this race but there were some things that I wasn't a fan of, that I thought detracted from the experience. First, I wasn't thrilled that the race started late because people weren't there on time, particularly when so many of us had been sitting outside in the dark for close to two hours because we followed the race instructions. Second, I couldn't believe how crowded the race was, especially given how narrow the course is! It seemed like a problem that could have been mitigated by closing more of the roads to traffic (the race is run on private Disney property, after all), running more of the race in the parks, or allowing more time to pass between corrals. I don't have a problem with how many walkers there were on the course but there were several groups of walkers walking four or five people across, blocking the entire path forward. Most of the races I've run that have had a large number of walkers have started with an announcement that walkers should stay to one side of the course to make it easy to navigate for everyone and, usually, people follow that but without being told to do that, this course definitely seemed more walker-friendly than runner-friendly. Lastly, I rarely buy race photos but there's a pretty awesome picture of me right in front of the castle that, somehow, doesn't have any other runners in it. I tried to buy the photo and found out that the only way to do so would be to buy all of my race photos for $169. Umm, no thanks! 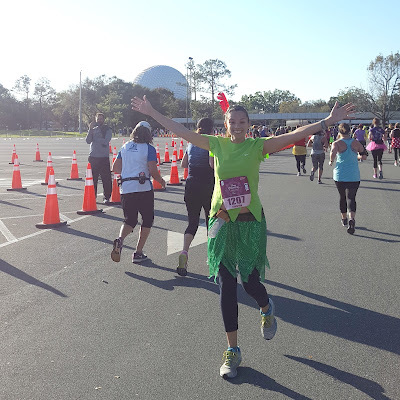 Would I run a RunDisney race again? I wouldn't not run one again but I don't need to run one again immediately. I think that I may have had a slightly different experience if I had actually started in my corral. You had to submit proof of time for a race back in November and Abby missed the deadline, which put us further back. I didn't mind but if there were that many walkers in Corral K, I can't even imagine what it must have looked like in Corral P! Disney isn't new to organizing races but there are a few things they need to work on, like spacing out their corrals better, extending the Expo hours (it closes at 3 the day before the race! ), and communicating with runners better. We were lucky to have caught an announcement that the Staging Area for the race was a half mile from the Start Line but if that announcement wasn't made on repeat, I imagine that's why so many runners were late to the start. So, there you go, my 15th Half-Marathon to celebrate my 30th birthday! It was a super fun weekend and I'm so glad I did it! 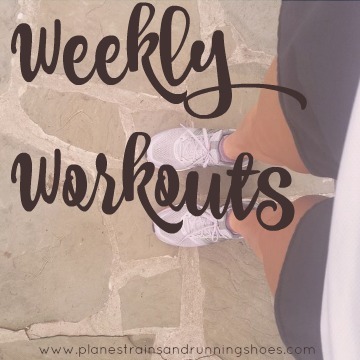 Today kicks off training for my next marathon - the Ottawa Marathon - so you can expect my weekly workout recaps to make a comeback this weekend! 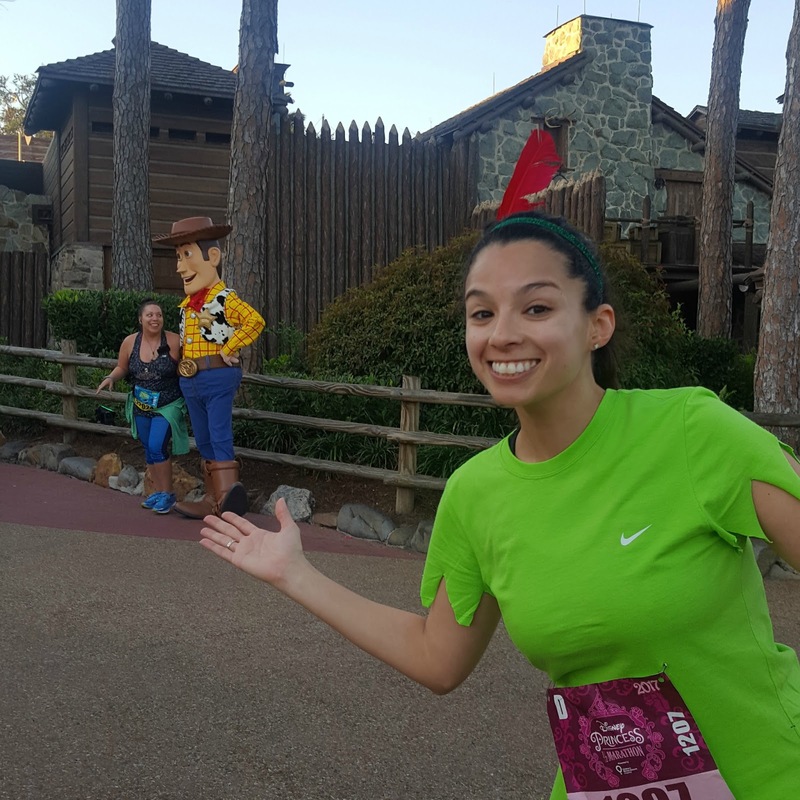 Have you run a Disney race before? If you did run one, who would you dress up as?